An elite address for the successful when everything comes together perfectly - in the heart of a vital metropolis. 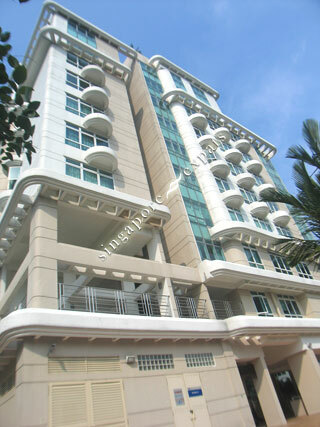 Balmoral Place is meticulously structured to exude a five-star ambience. With only 28 exclusive FREEHOLD units available for the privileged few, Balmoral Place is definitely a positive investments opportunity! Its walls of endless glass permits natural light to flood in during the day and frames the romantic skyline when night falls. Enter the realm of Balmoral Place, where it's all about living life in a different way! Surrounding the carefully groomed landscape of Balmoral Place is a myriad of elite schools, exclusive clubs, renowned eateries and shopping spots. Located in one of Singapore's favourable and most sought-after rentable districts, Balmoral Place has been carefully planned to enrich the living experience of all its residents. From its multi-tier roof gardens, residents can enjoy a panoramic 360 degree view of downtown Orchard district. True to its sleek architecture and distinctive facade, Balmoral Place is home to decor and finishes that are a class above all others. Complete with designer wardrobes, kitchen cabinets and multi-split air-conditioners in every room. The luxurious marble floors gleam as the rays of sunlight stream steadily through the wide panels of glass windows, while teak lying across every bedroom speak of cosyness. Finishes of highest quality and attention to minute detailing prevail from the drawing board to completion with you in mind. cosy place to live to in. Good location and Nearby Good schools. Gymn and Barbeque facility.